'Sing, Sing, Sing' Benny Goodman's 1938 Carnegie Hall concert legitimized jazz in the eyes of the music establishment. 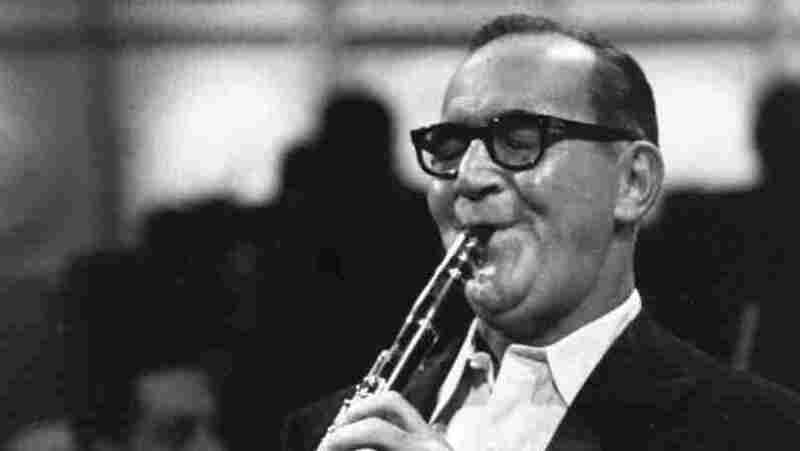 American jazz clarinettist and band leader Benny Goodman. On the evening of January 16, 1938, Benny Goodman took to the stage at Carnegie Hall along with his trio, his quartet, and his big band. It was the first time ever that a swing band played Carnegie. Historians now look to this night as the moment when jazz gained validity from the music establishment. The Goodman orchestra was well known in America from club appearances from New York to Chicago and from the radio. But Swing had its detractors, too. Even so, the Carnegie Hall concert marked the moment when the music itself was afforded a sign of respect. The last number on the program was "Sing, Sing, Sing" — what Goodman called a "killer diller," a number intended to get a crowd on its feet, jitterbugging. Drummer Gene Krupa sets the groove with his tom-toms, and members of the orchestra take their turns soloing, including a mournful one from Benny himself. But Jess Stacy steals the show with his piano. We'll hear the entire performance of "Sing, Sing, Sing" in addition to remarks from Goodman biographer Ross Firestone, audience member Turk van Lake, and Benny Goodman.